Is the Red Rocks Amphiteatre in Morrison Haunted? Kailyn Lamb, author of Ghosthunting Colorado, visited to see for herself. 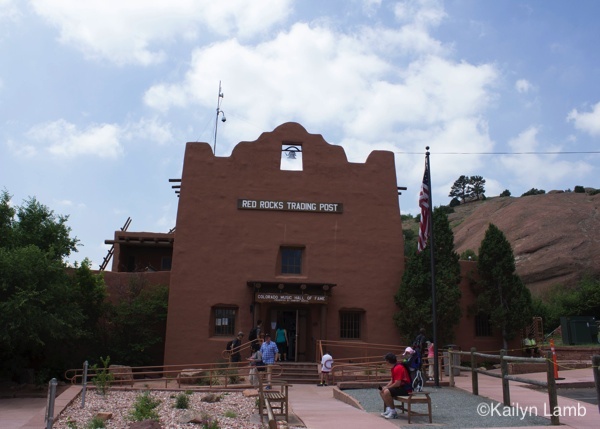 Here is an excerpt from her story about the hauntings going on at Red Rocks Amphitheatre. Colorado is home to a section of the majestic Rocky Mountains and, as a result, some of the best hiking and skiing in the country. 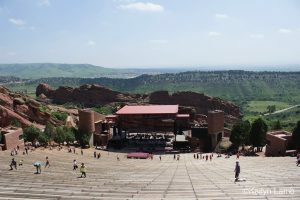 Just a half hour west of Denver, in Morrison, lies Red Rocks Park and Amphitheatre, a personal favorite on my list of places to visit in the state. 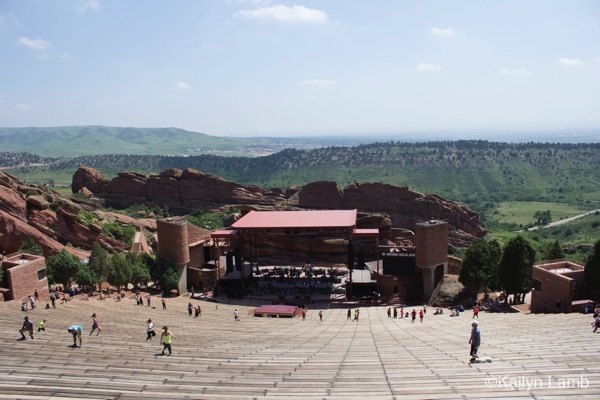 With its amphitheater built into the surrounding rocks, the venue is best known for concerts; the Beatles, U2, and the Grateful Dead are just a few of the hundreds that have graced the stage. Although the amphitheater did not open in its current form until July 1941, people have been using the area for concerts since the early 1900s. It seems that the natural beauty of Red Rocks calls to more than just fitness junkies and music lovers. There is, in fact, a spirit in the surrounding area that does not seem to mind the hustle and bustle of the popular venue. 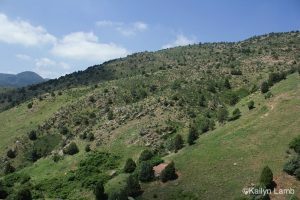 Aptly named the Hatchet Lady of Red Rocks, she is only one of the ghosts that haunt Red Rocks Park, the 640-acre area that includes the amphitheater and hiking trails, but her story seems to make her one of the more popular ones. This is probably because her apparition is that of a headless woman who may have been murdered in the area and who appears to couples getting a little too frisky in the shadows of the rocks. Another theory is that she is the ghost of a woman who homesteaded in the area that became Red Rocks. Known as “Old Mrs. Johnson,” she would allegedly pull a coat over her head and swing a hatchet to scare away her daughters’ suitors. One of the trails at Red Rocks leads to an old graveyard where people think the woman may be buried. People have been known to stay in the graveyard at night to try to hear or see her. Other theories involve a homeless woman living in the area in the 1950s or a woman living in a cave, which has been fenced off to prevent people from exploring the area. This version of the story says the woman kills children that come too close to the cave and hides their bodies and severed limbs in the surrounding area. Supposedly, the ghost of the Hatchet Lady was upset when Hoyt began planning and building the area for the stage, and some say she may have interfered with construction as well. The attire of a second Red Rocks ghost marks him as the specter of an old miner, and many people claim to have seen his apparition, which is clear enough that those who have can provide great detail about his appearance. He supposedly stands 5 feet 5 inches tall, has a long white beard, wears a brown hat, holds a bottle in his hand, and is mostly seen in the restricted areas of the stage. Outside of his appearance and seemingly unpleasant demeanor, not much is known about this ghost or why he haunts the area. His story does seem to lack the color of a blood-soaked headless woman wielding a bloody hatchet. There have also been sightings of Indian spirits dressed in traditional ceremonial attire, and some of these sightings report the ghosts doing ceremonial dances. 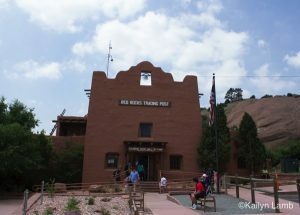 One building in the park that has seen a lot of ghostly activity is the Trading Post, originally called the Indian Trading Post when it opened in 1931. The first caretaker actually lived in the basement, but it was later converted into a storage area. Inside, Indian wares that were provided by the Denver Art Museum were sold. The current building still functions as a gift shop, with a small coffee café inside as well. The Denver Channel did a two-part story on the building in 2009 after several employees revealed their belief that the building was haunted. Red Rocks Amphiteatre happens to be one of my all-time favorite places in the world. While I cannot admit to personally experiencing any ghostly activity there, I can say that there certainly is a magic about the place, and many people talk about the spiritual feeling that is almost tangible at the site. My recommendation is this: No matter how you feel about ghosts, this should always be a stop when visiting Colorado. You do not even need the excuse of a concert to go there, although I highly recommend doing that too. 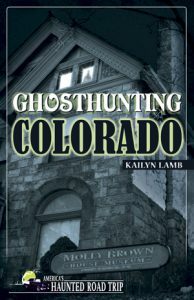 About the author: Kailyn Lamb looks at locations throughout the state and dives head first into the history behind the ghosts and what makes them stay. Join her in investigating the history of some of Colorado’s most haunted locations, and you might find more than gold in those hills. Pre-order your copy NOW.